I’m sure it’s my female hormones that find this video so amazing, but isn’t this adorable? Two twins try to talk to each other and hold hands for the first time..OUTSIDE the womb. It’s such a feel good video I had to share it. 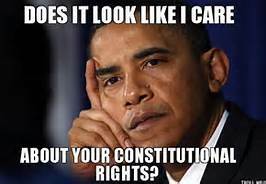 Nobody Gets Email: Obama WILL Stand With the Muslims: Think on it. I really—liked this. It’s great. Pass it on. The Shoe Bomber was a Muslim. The Beltway Snipers were Muslims. 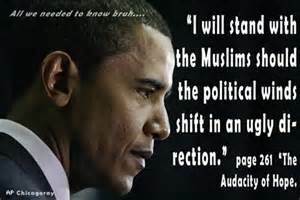 The Fort Hood Shooter was a Muslim. The underwear Bomber was a Muslim. The U-S.S. Cole Bombers were Muslims. 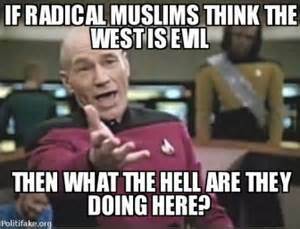 The Madrid Train Bombers were Muslims. The Bafi Nightclub Bombers were Muslims. The London Subway Bombers were Muslims. The Moscow Theatre Attackers were Muslims. The Boston Marathon Bombers were Muslims. The Pan-Am flight #93 Bombers were Muslims. The Air France Entebbe Hijackers were Muslims. The Iranian Embassy Takeover, was by Muslims. The Beirut U.S. Embassy bombers were Muslims. The Libyan U.S. Embassy Attack was by Muslims. 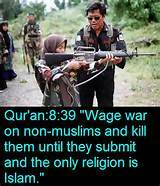 The Buenos Aires Suicide Bombers were Muslims. The Israeli Olympic Team Attackers were Muslims. The Kenyan U.S, Embassy Bombers were Muslims. The Saudi, Khobar Towers Bombers were Muslims. The Beirut Marine Barracks bombers were Muslims. The Besian Russian School Attackers were Muslims. The first World Trade Center Bombers were Muslims. The Bombay & Mumbai India Attackers were Muslims. The Achille Lauro Cruise Ship Hijackers were Muslims. Muslims living with Hindus = Problem. Muslims living with Buddhists = Problem. 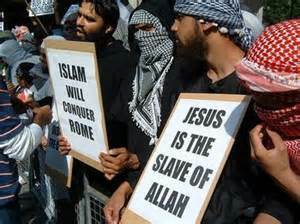 Muslims living with Christians = Problem. Muslims living with Jews = Problem. Muslims living with Sikhs = Problem. Muslims living with Baha’is = Problem. Muslims living with Shintos = Problem. Muslims living with Atheists = Problem. They’re not happy in Gaza. They’re not happy in Egypt. They’re not happy in Libya. They’re not happy in Morocco. They’re not happy in Iran. They’re not happy in Iraq. They’re not happy in Yemen. They’re not happy in Afghanistan. They’re not happy in Pakistan. They’re not happy in Syria. They’re not happy in Lebanon. They’re not happy in Nigeria. They’re not happy in Kenya. They’re not happy in Sudan. So—- where are they happy? They’re happy in Australia. They’re happy in England. They’re happy in Belgium. They’re happy in France. They’re happy in Italy. They’re happy in Germany. They’re happy in Sweden. They’re happy in the USA & Canada. They’re happy in Norway & India. And who do they blame? 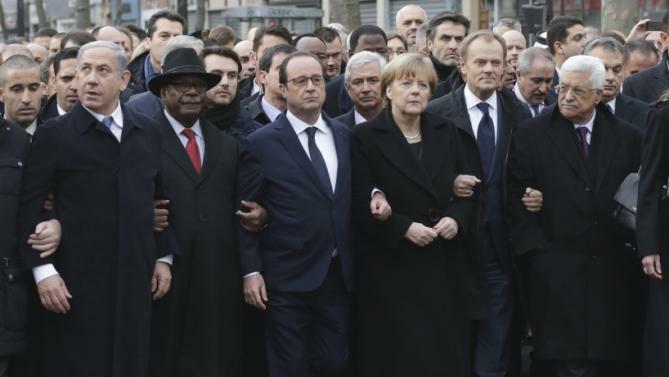 Not Islam… Not their leadership… Not themselves… THEY BLAME THE COUNTRIES THEY ARE HAPPY IN!! 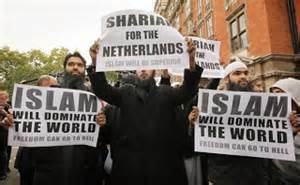 And they want to change the countries they’re happy in, to be like the countries they came from where they were unhappy and finally they will be get hammered !!!! Islamic Jihad: AN ISLAMIC TERROR ORGANIZATION ISIS: AN ISLAMIC TERROR ORGANIZATION Al-Qaeda: AN ISLAMIC TERROR ORGANIZATION Taliban: AN ISLAMIC TERROR ORGANIZATION Hamas: AN ISLAMIC TERROR ORGANIZATION Hezbollah: AN ISLAMIC TERROR ORGANIZATION Boko Haram: AN ISLAMIC TERROR ORGANIZATION Al-Nusra: AN ISLAMIC TERROR ORGANIZATION Abu Sayyaf: AN ISLAMIC TERROR ORGANIZATION Al-Badr: AN ISLAMIC TERROR ORGANIZATION Muslim Brotherhood: AN ISLAMIC TERROR ORGANIZATION Lashkar-e-Taiba: AN ISLAMIC TERROR ORGANIZATION Palestine Liberation Front: AN ISLAMIC TERROR ORGANIZATION Ansaru: AN ISLAMIC TERROR ORGANIZATION Jemaah Islamiyah: AN ISLAMIC TERROR ORGANIZATION Abdullah Azzam Brigades: AN ISLAMIC TERROR ORGANIZATION AND A LOT MORE !!!!!! !